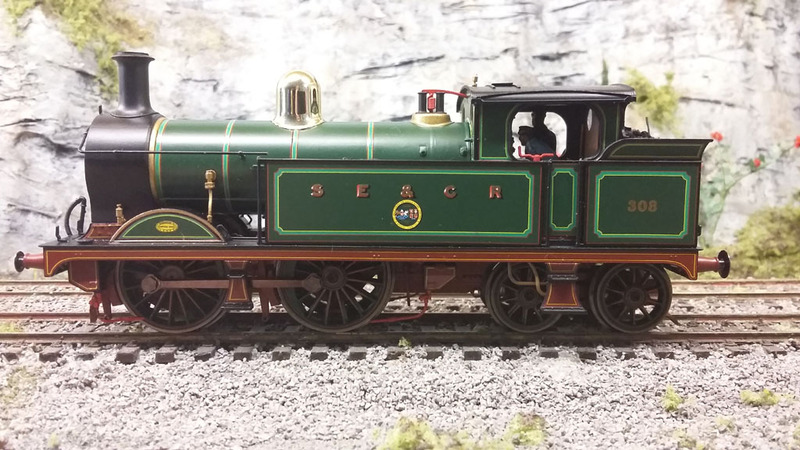 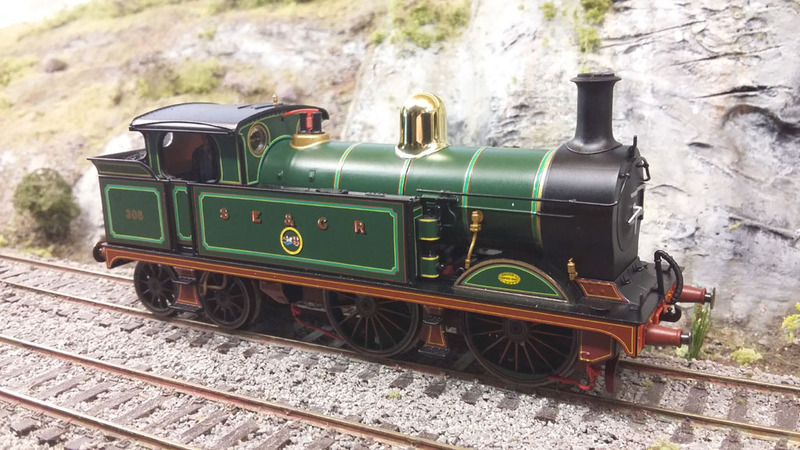 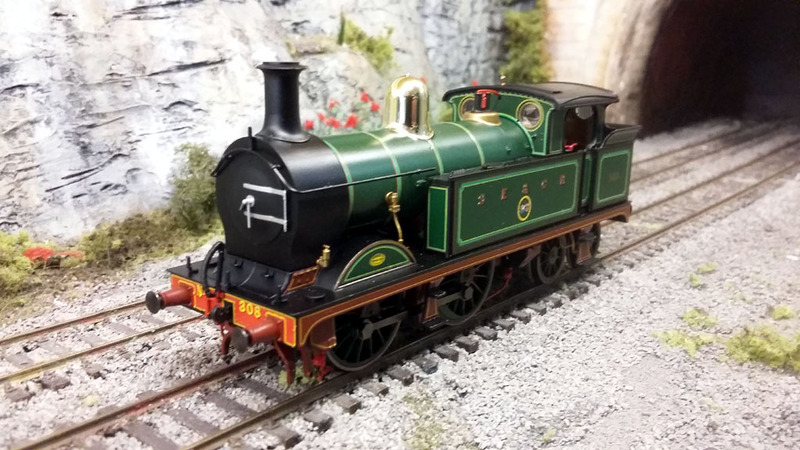 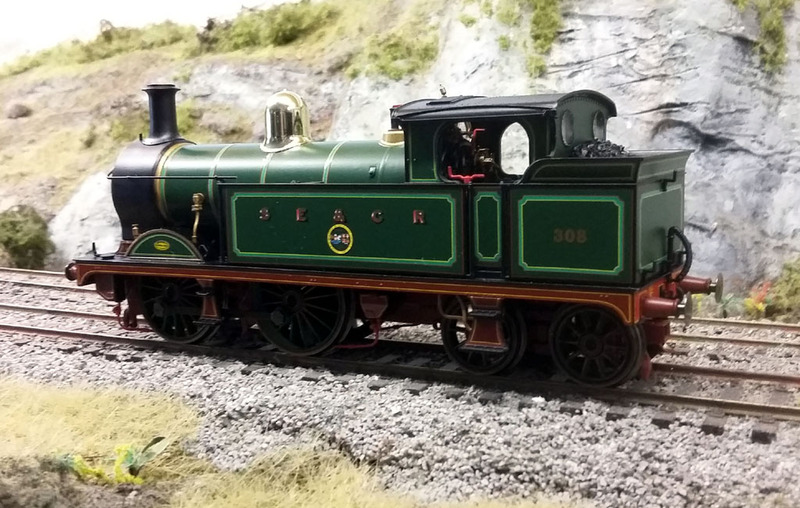 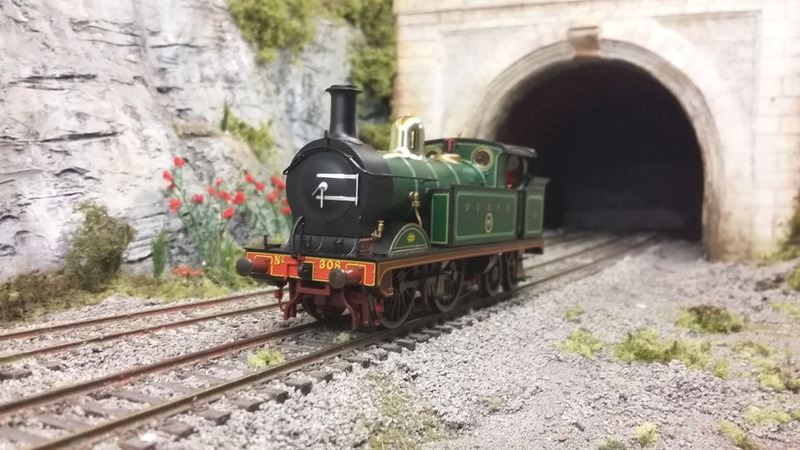 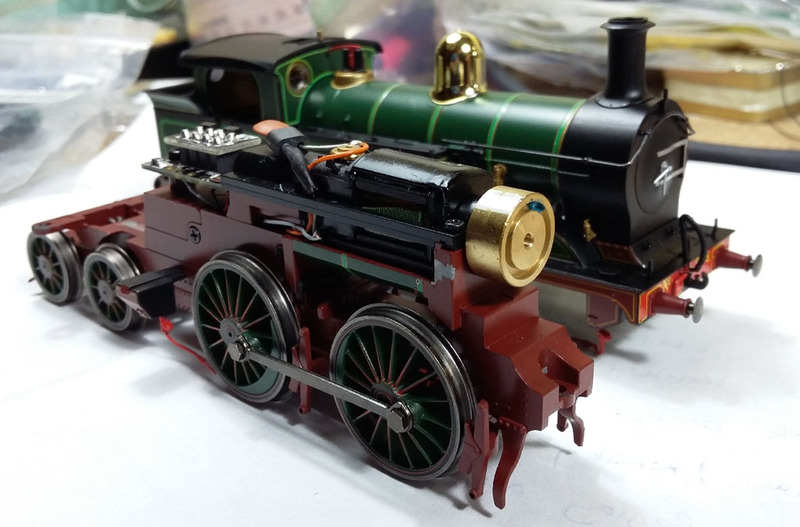 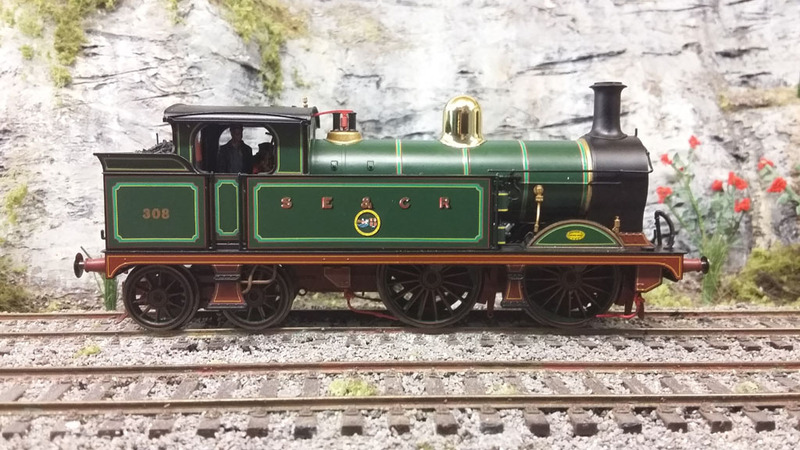 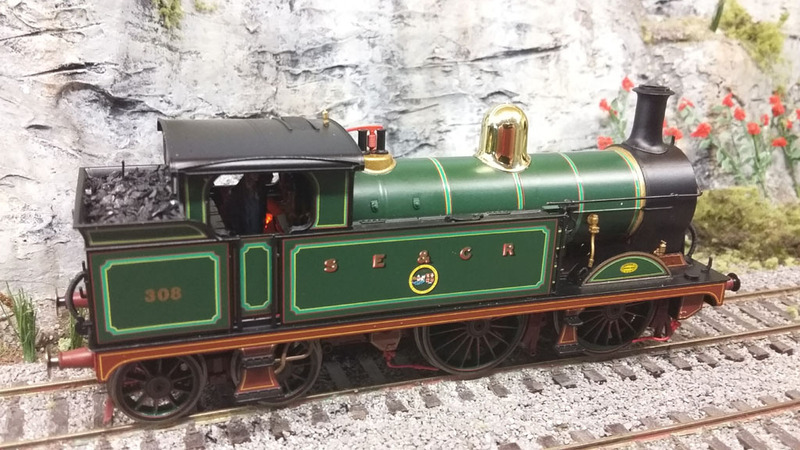 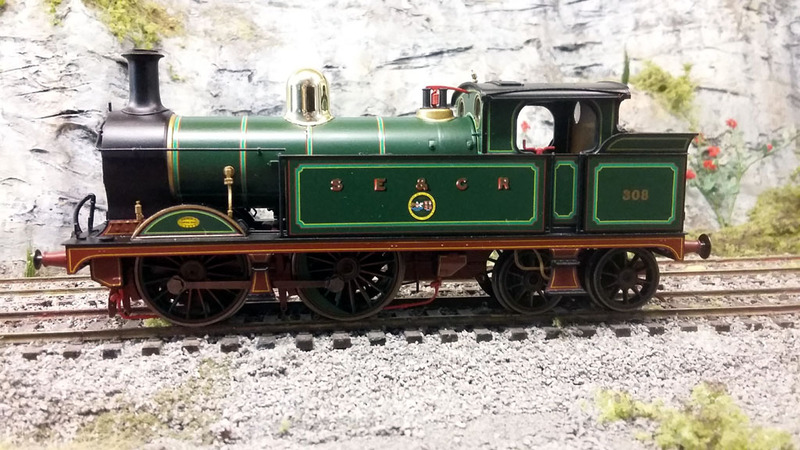 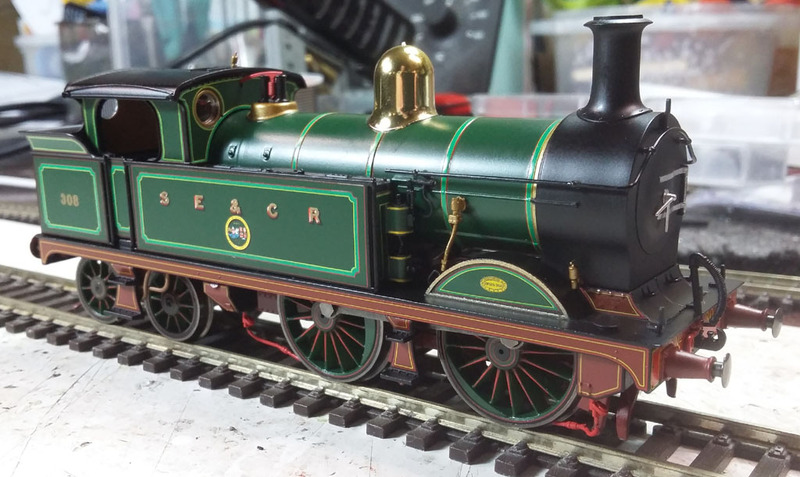 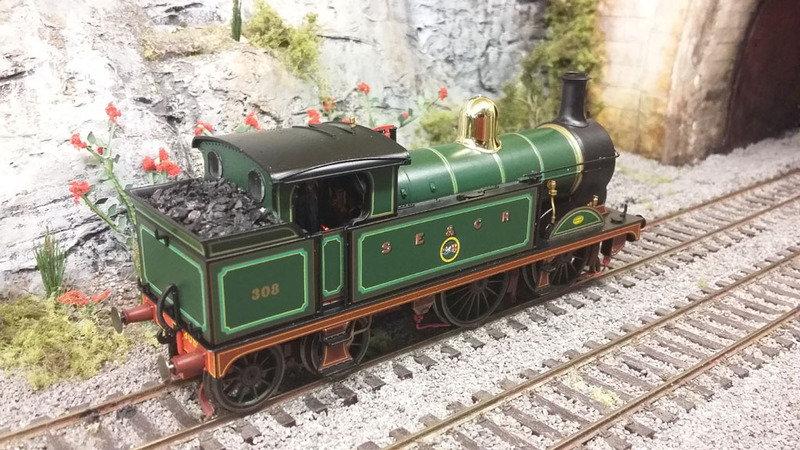 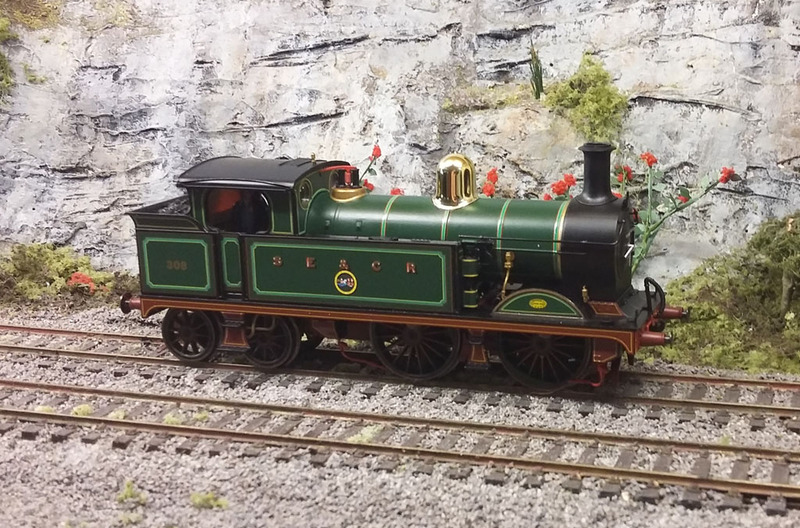 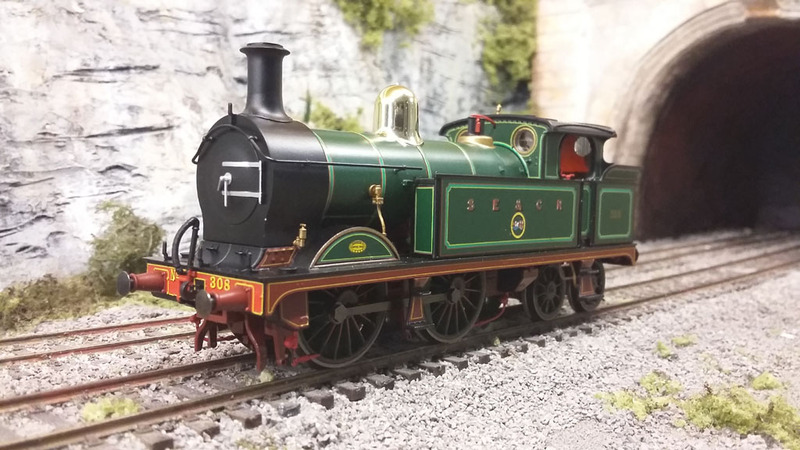 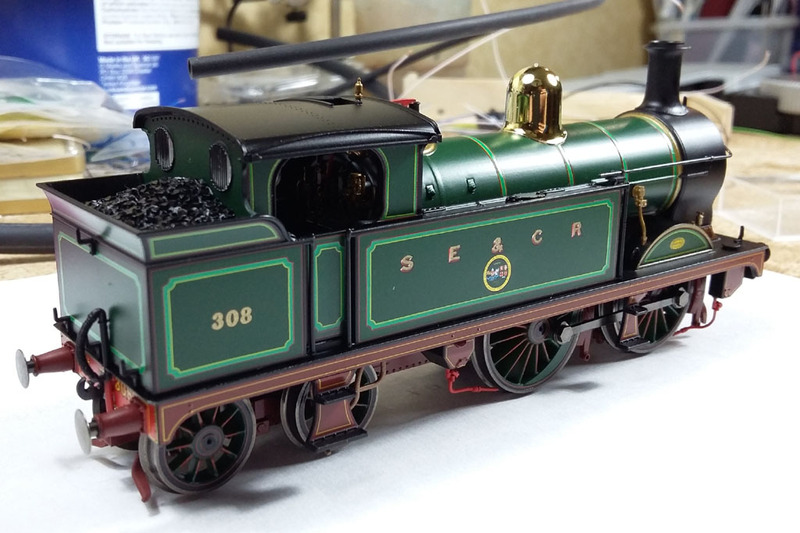 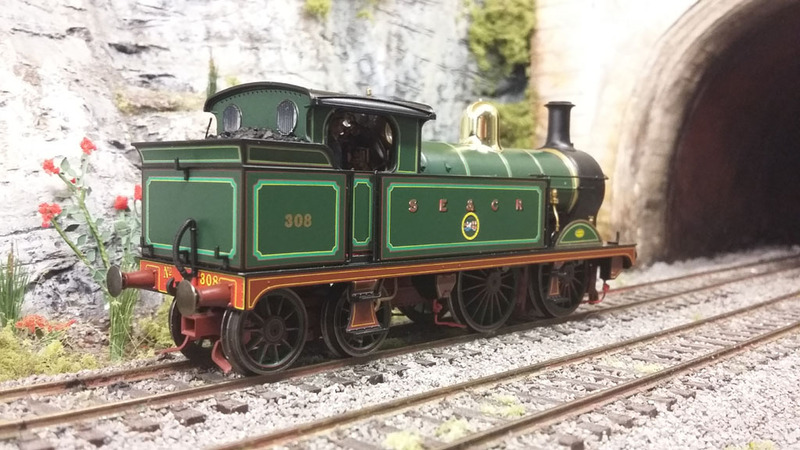 One of the prettiest models to come from Hornby, here we have the SECR Wainwright 'H' 0-4-4 Tank in gorgeous lined SECR livery, as preserved on the Bluebell Line. 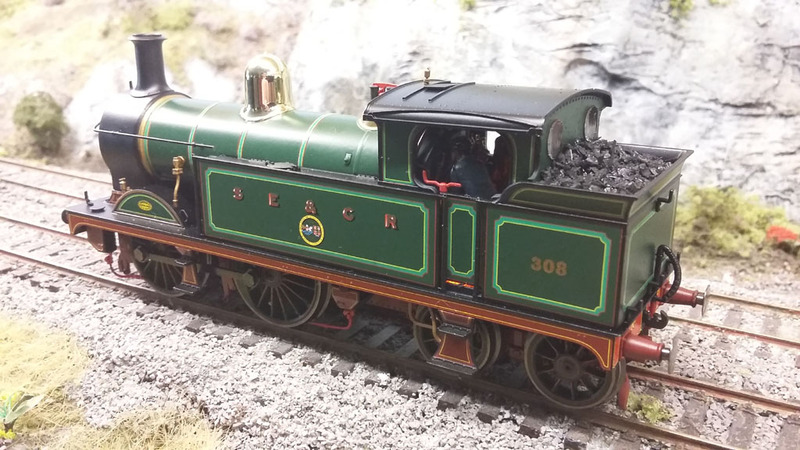 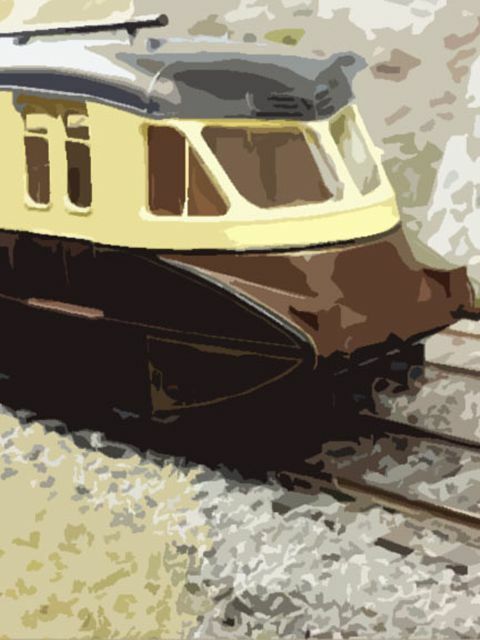 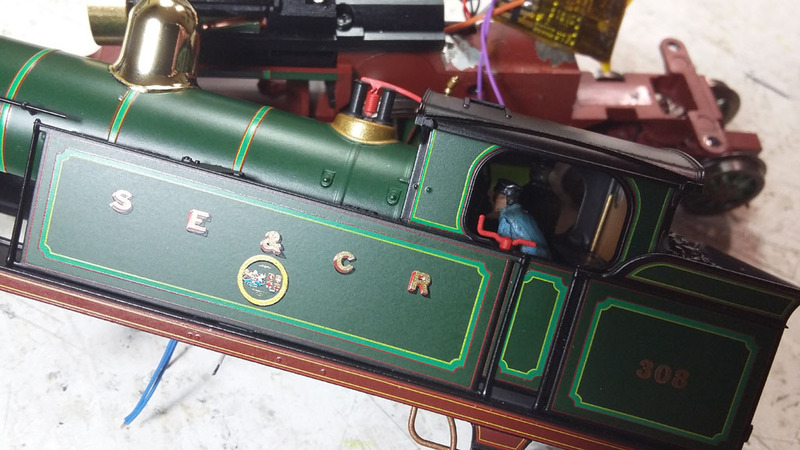 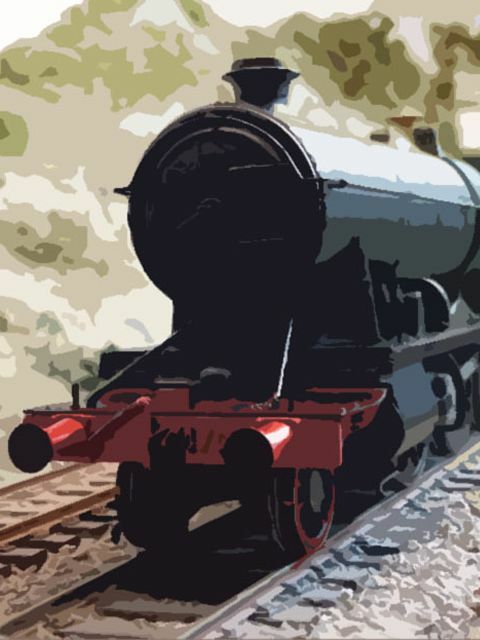 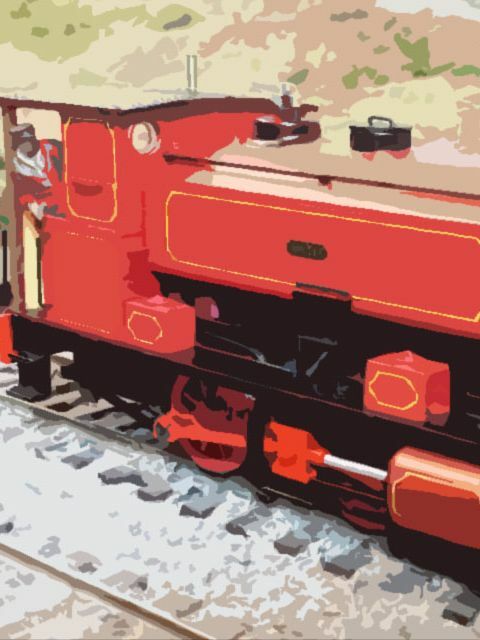 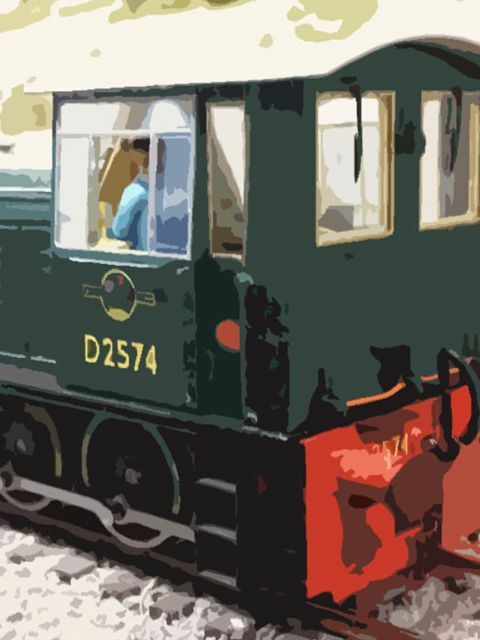 It may not quite be the quality of finish and solidness as Bachmann's Wainwright 'C' but it is pretty good, and as colourful as anything else to grace your layout! 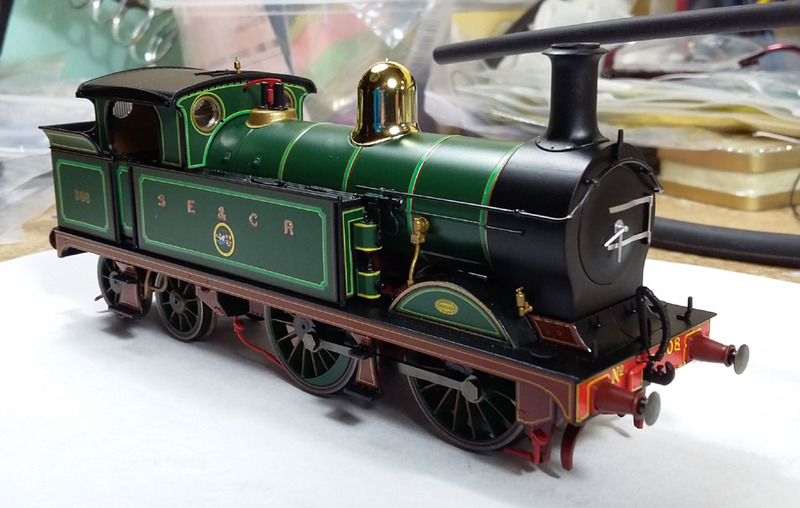 That shiny dome is superb! 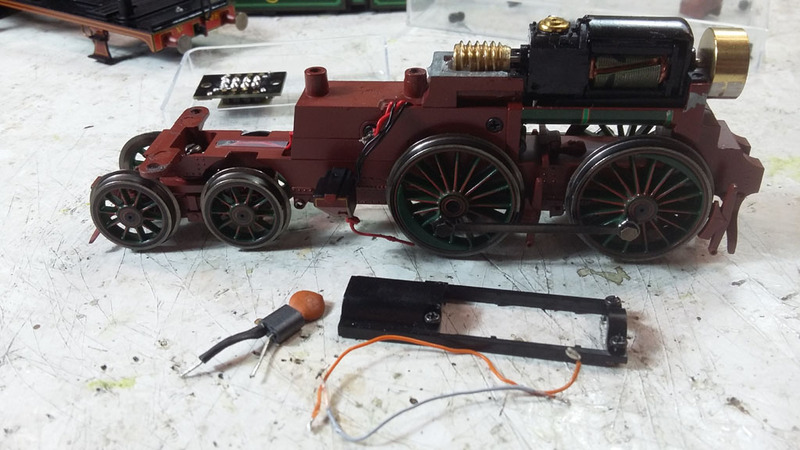 Remove 4 screws and the body comes off nice and easily. 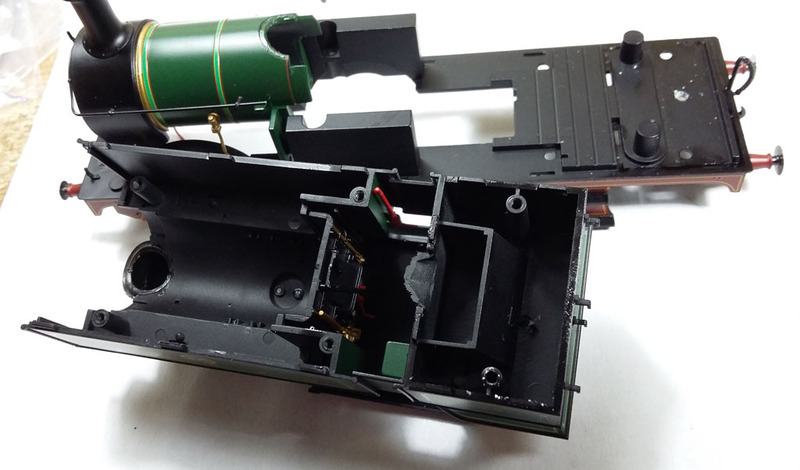 Not much room to play with in the boiler so we have a choice of using space in the bunker (of which there is quite a bit) or to attempt to get a sound decoder and speaker where the 8pin DCC socket currently sits. 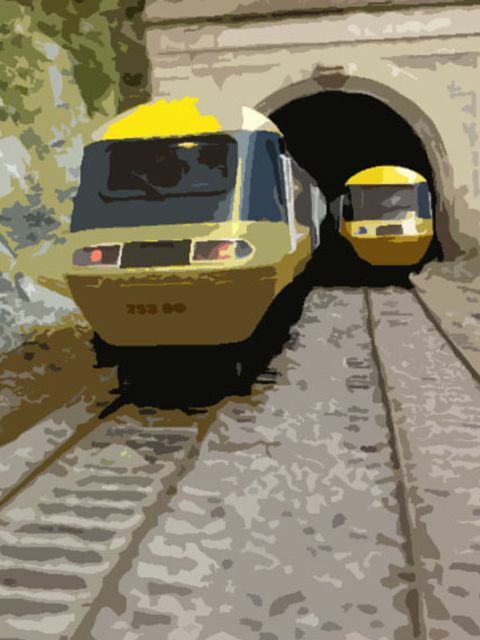 We opt for the latter, as we will eventually like the option of adding stay-alive too, and the bunker looks like a great plan for that (but that's for another day). 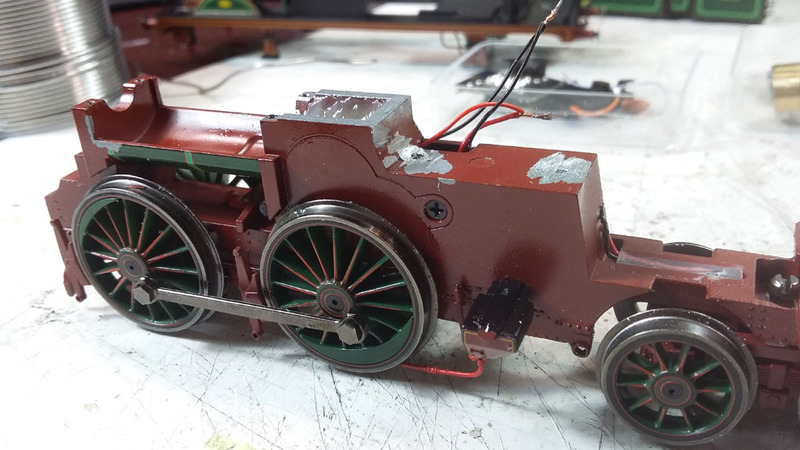 With just a little encouragement (clips along the side) and removal of 6 small retaining screws, the rear part of the body and cab all lift off the frame revealing access to the bunker space. 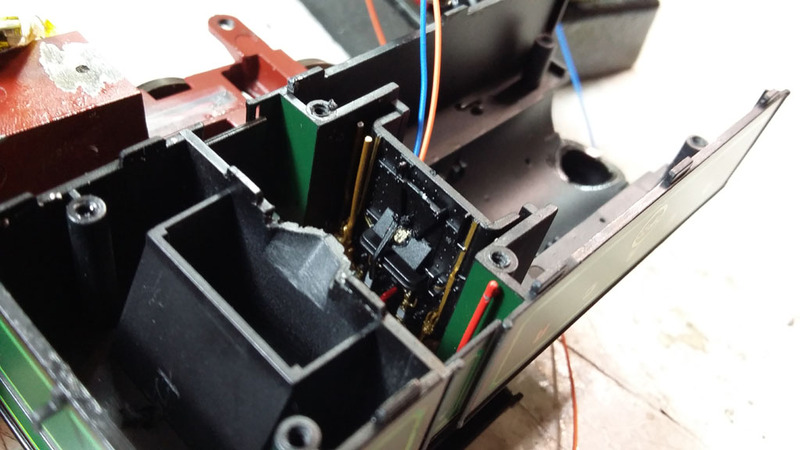 Time to remove the DCC socket, suppressor, and grind down the screw mounts that support the socket - we'll have that space for the decoder (Zimo MX648) and a SugarCurve9 speaker will sit directly on top of it - perfect fit in fact! 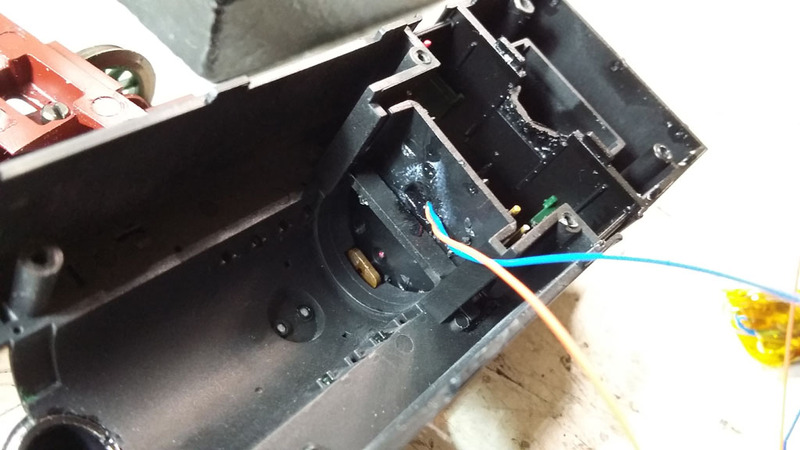 Be ultra careful while grinding the screw mounts not to catch the pickup wires which are dangerously close. 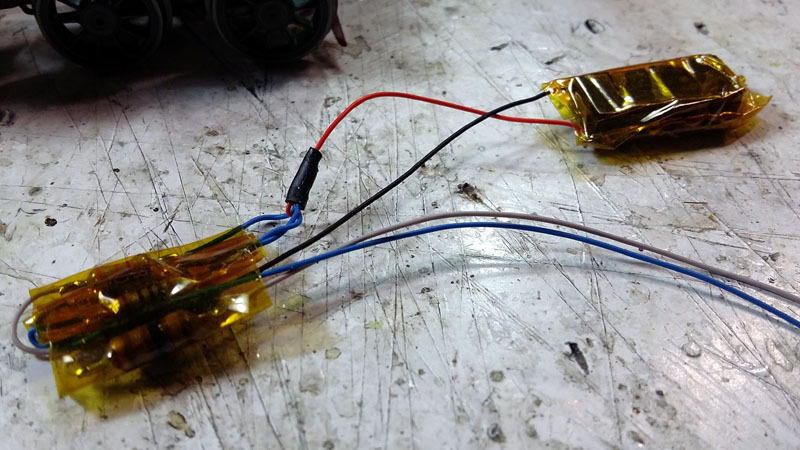 If you're concerned about that, you can remove the pickup pan, pop the wheels out and unscrew the wiring-shield from the side to move the wires temporarily out of the way while you grind. 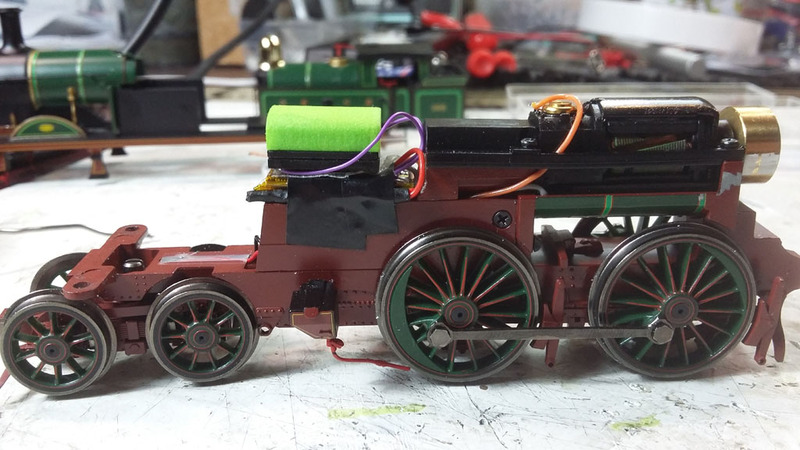 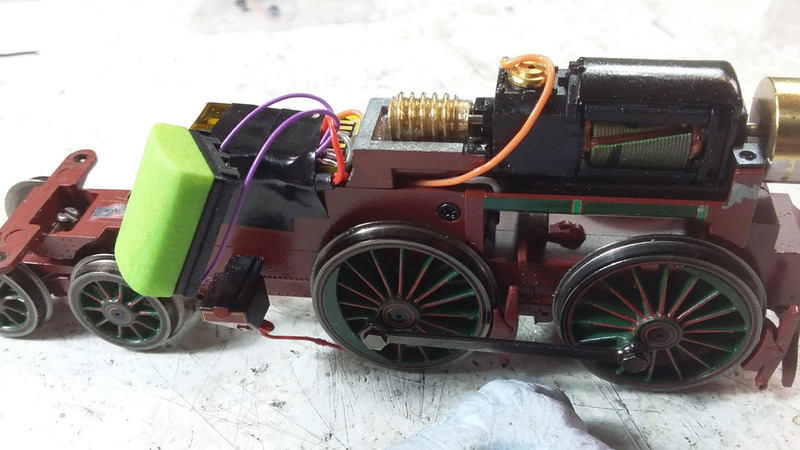 In fact, we decided to replace the pickup wires from the main driving wheels completely, but there shouldn't really be any need for that. 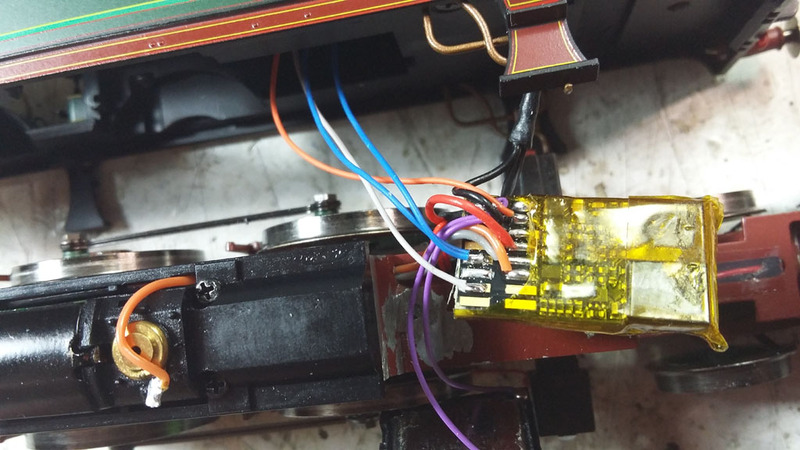 The motor unscrews and comes out easily enough and we will solder the decoder's orange and grey wires directly to the motor terminals for neatness. 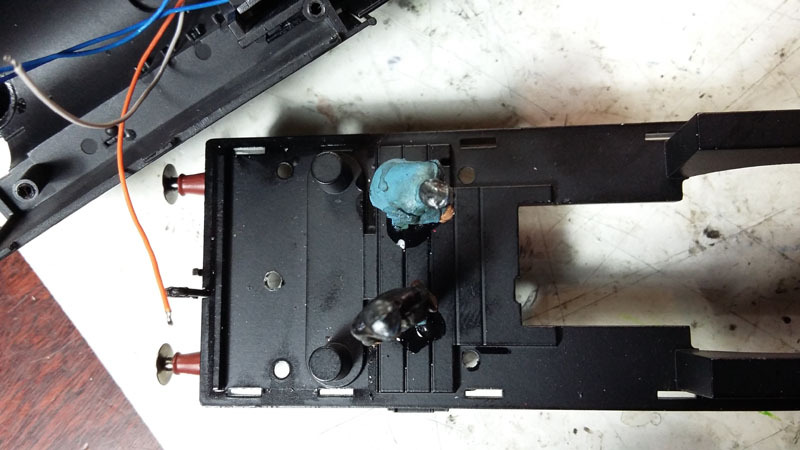 We've removed unwanted wires from the decoder altogether and swapped the thick heat shrink protective cover for thinner Kapton tape. 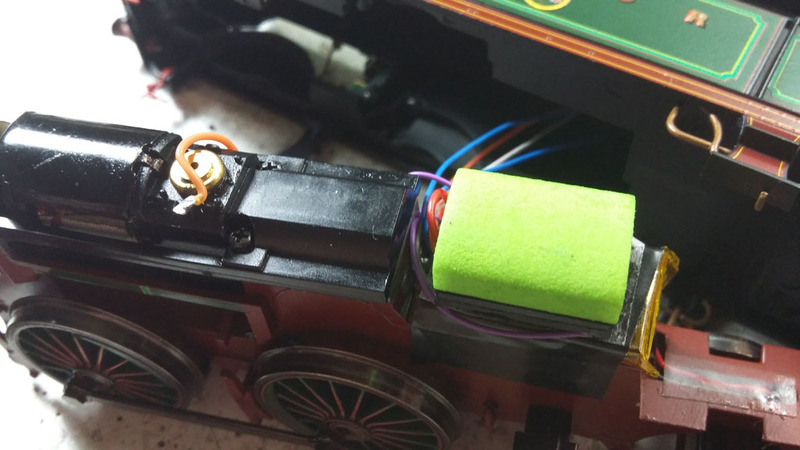 The decoder then sits low on the area where the screw mounts were, and the speaker is secured losely on top with some thin double-sided tape. 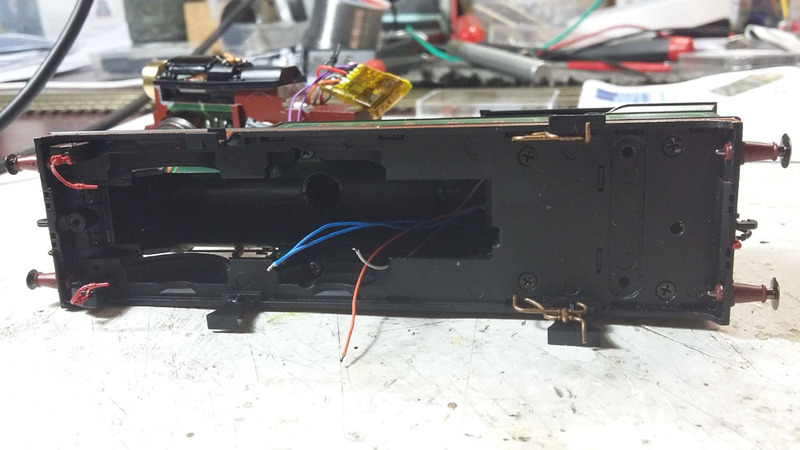 All slots back together without being tight. 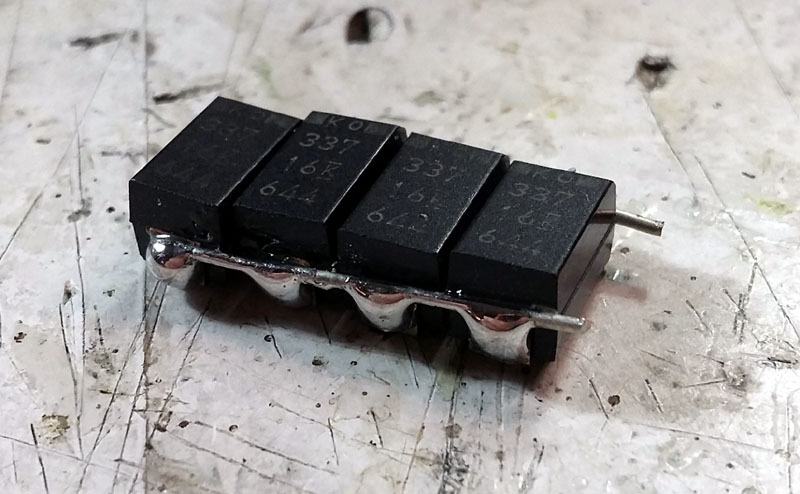 4x 330uF Tantalum capacitors prepared for the stay-alive, joined in parallel. 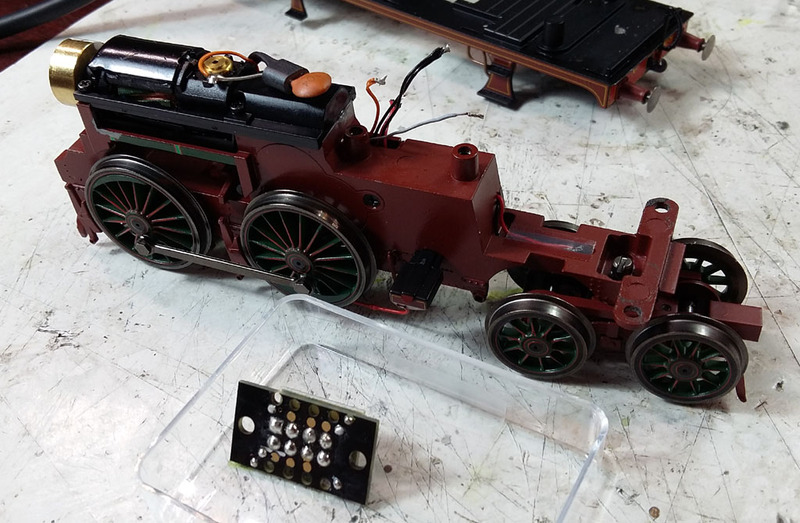 SPEIKOMP kit assembled (required to add a stay-alive to the MX648 decoder). 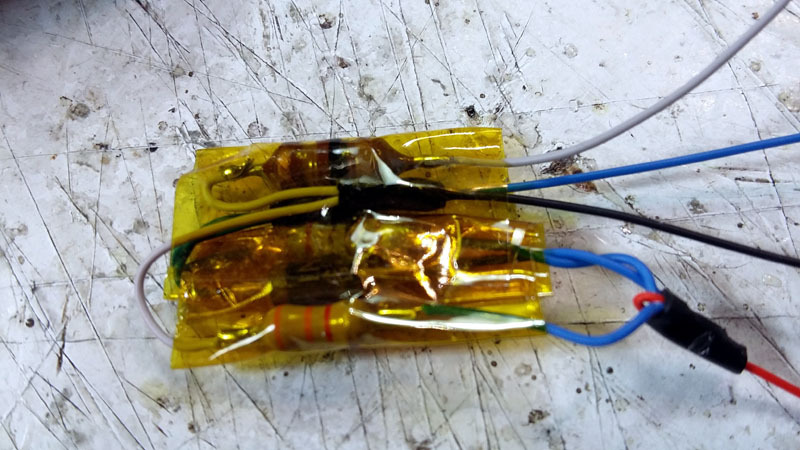 Protective Kapton tape wrapping everything neatly. 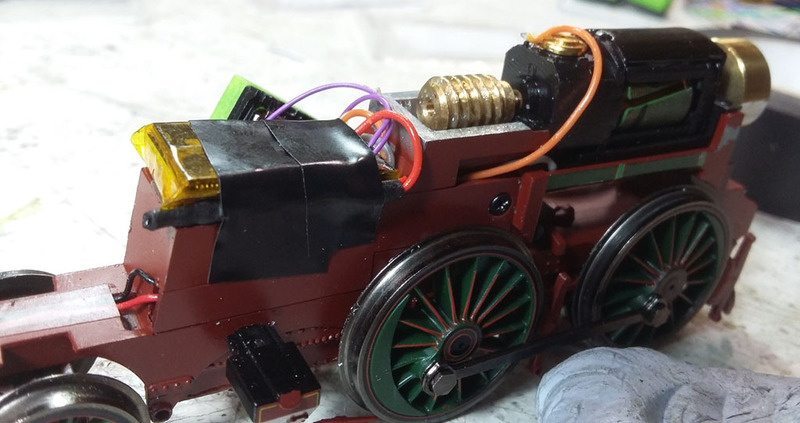 Nano LED for firebox glow, with 1K resistor tucked up at the top behind the bulk-head. 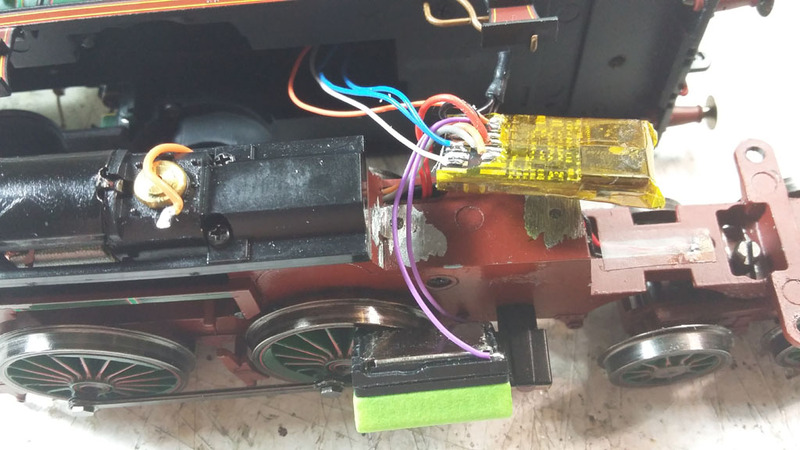 Wires from the SPEIKOMP/stay-alive threaded through small holes drilled from the bunker area, through along the cab floor, and joining the firebox LED's wires. 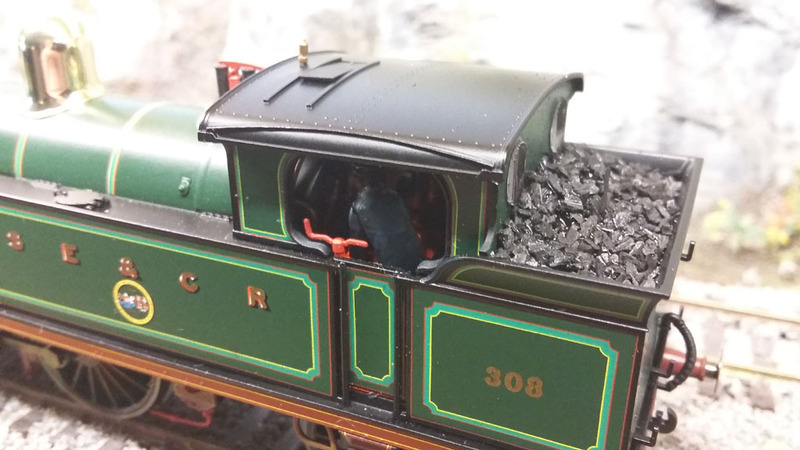 Paint with black to hide the wires along the cab floor (though you won't really see them anyway). 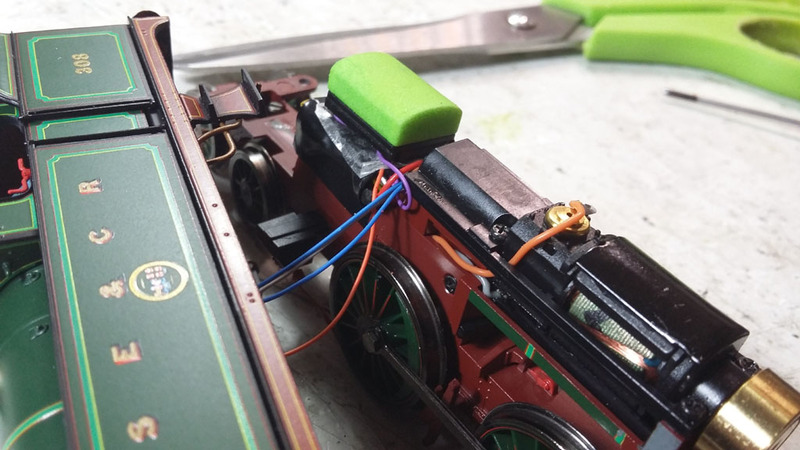 Use fairly vertical crew figures as they will need to poke up passing the wires from the stay-alive along the centre line. 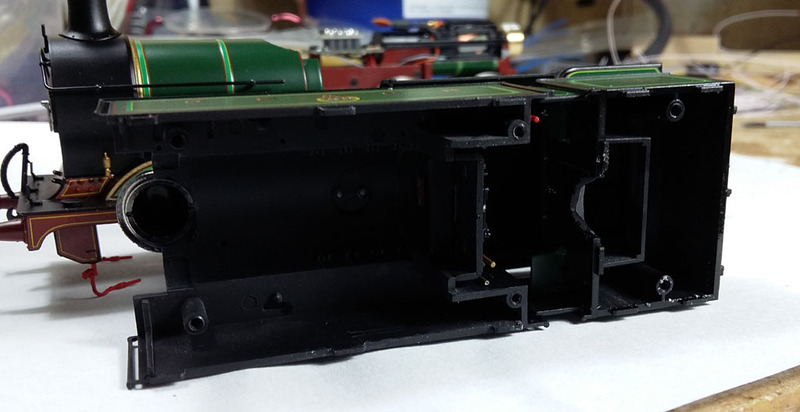 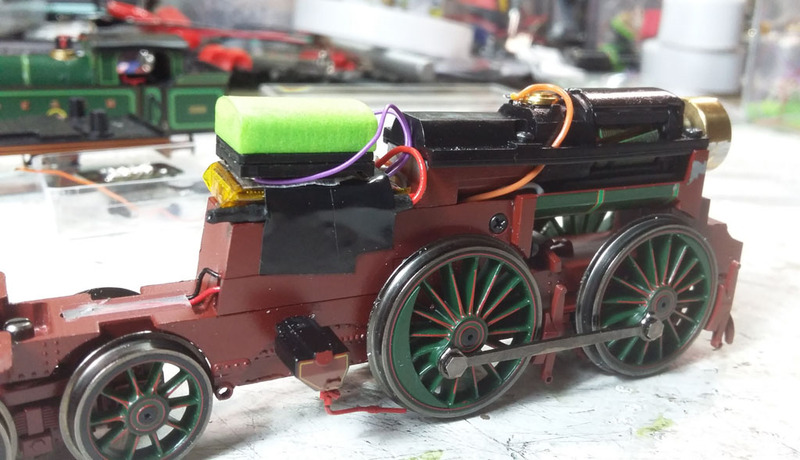 In they go, wires neatly in the boiler area, and the cab/top moulding screwed back together. 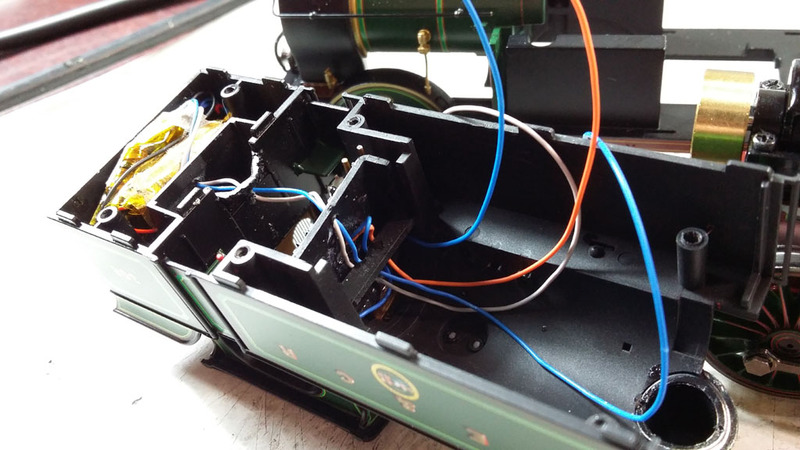 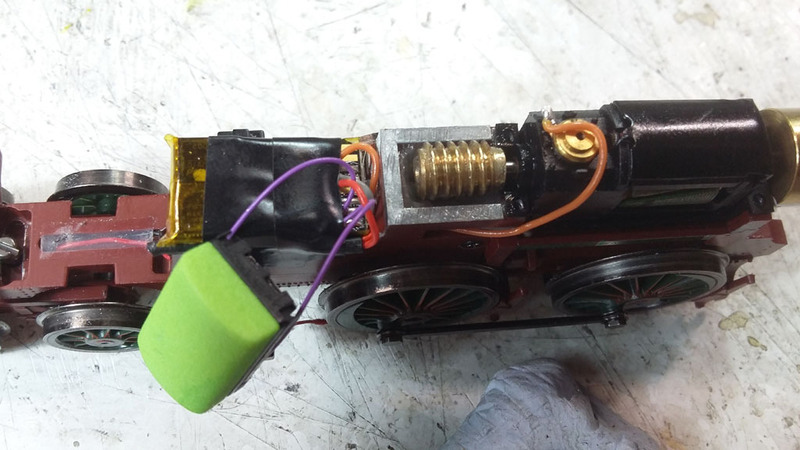 Prepare the MX648 so we can add the necessary wires - GND from the SPEIKOMP, -VE from the firebox LED goes to FA1/AUX3 (normally green, but firebox has an orange wire! 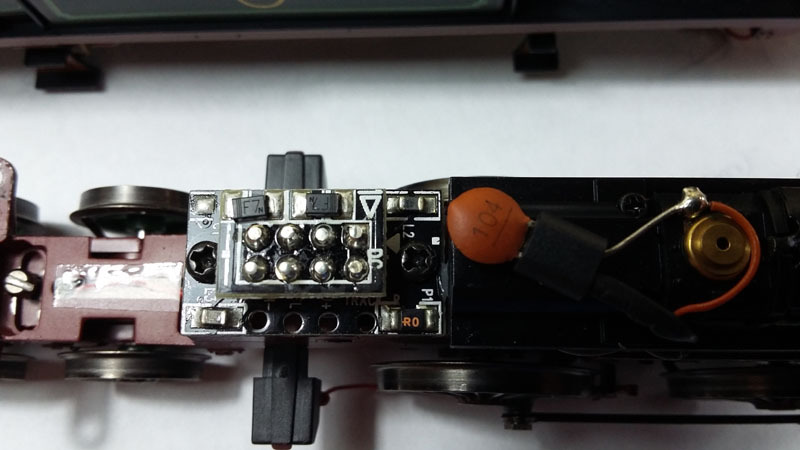 ), and the +VE from the firebox LED (via resistor) and the +VE from the SPEIKOMP joined together onto the common +VE pad of the MX648). 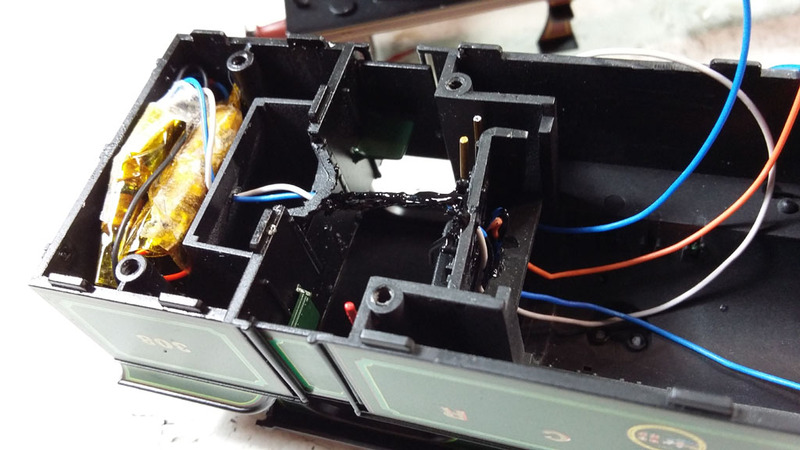 Secure the decoder down and protect with electrical tape, then a little thin double-sided tape on top to place the speaker back down. 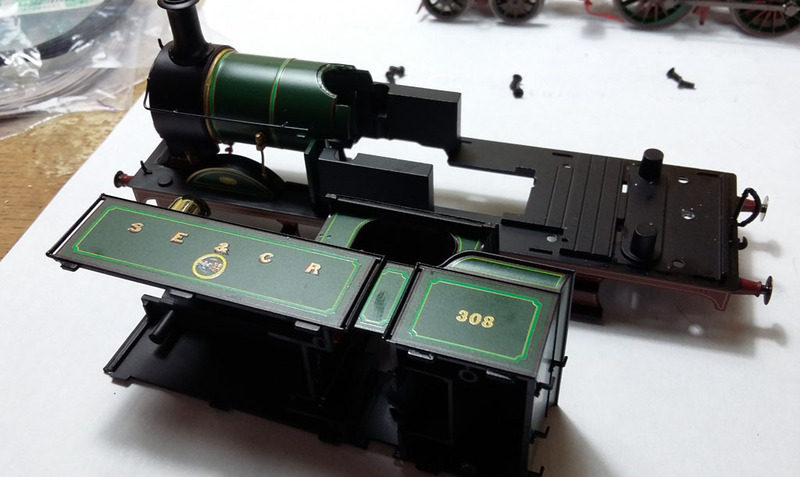 Should all be pretty neat. 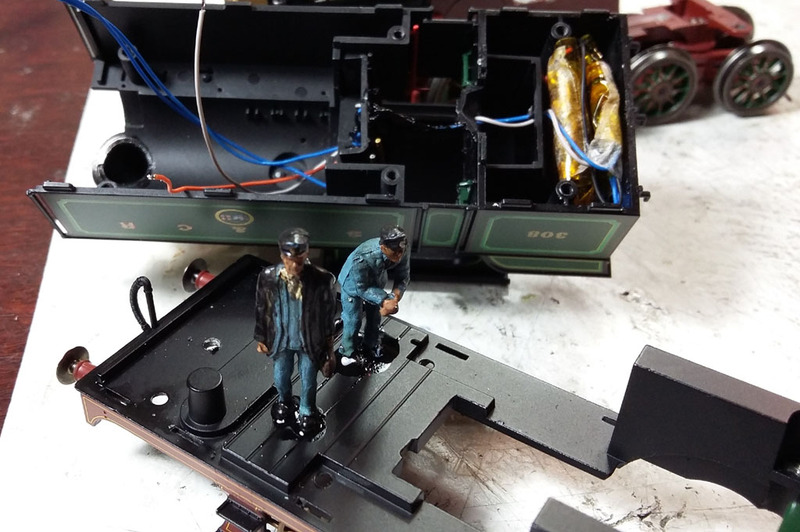 Added some lump coal to the bunker and all finished. 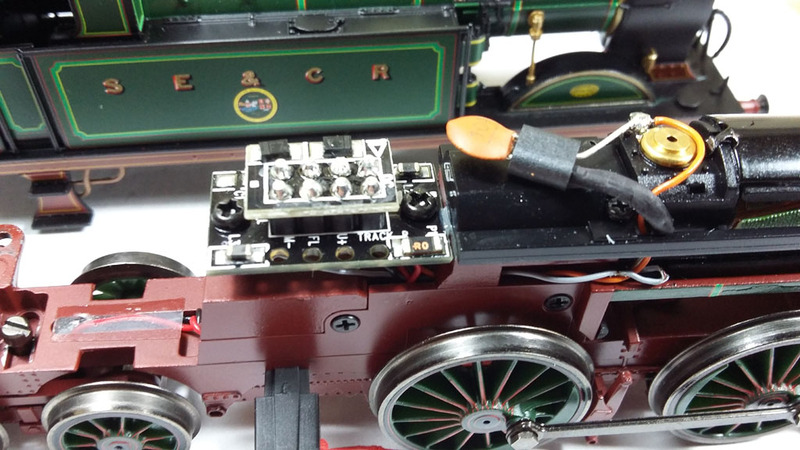 The Tantalums offer just enough to really make the 'H' purr along without any stutters!